While social media is a critical component of any musician’s overall marketing strategy, it needs to be done effectively and efficiently. Without a clear set content strategy, it is likely to become just another source of frustration, rather than THE source responsible for moving you towards your goals. The numbers are scary! 2 billion people on Facebook, 1B using Instagram every day, 500 million on Twitter – and these huge #s often make us think that we have to talk to everyone out there! 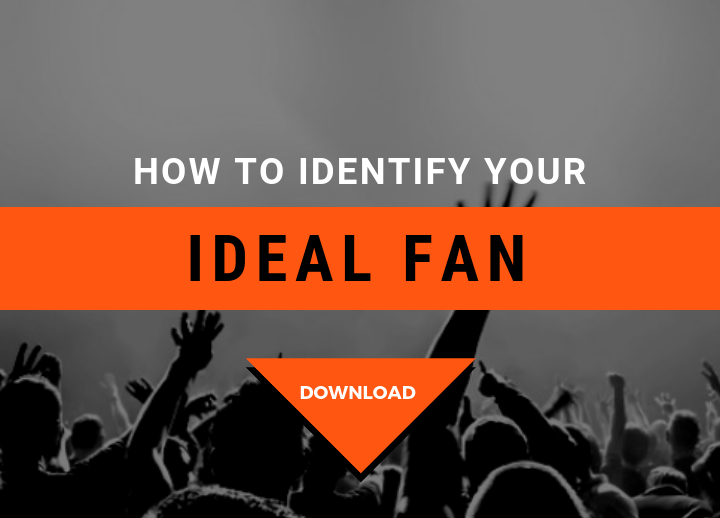 I have devised my Ideal Fan Exercise (Click here or on the image below to download this entire exercise.) so that you can find this information out. It is an excerpt from my book Social Media Tune Up and is the foundation that you should operate from when you go to your socials. You can download it here or at the end of this post! I also was the featured guest on the Twitter Smarter Podcast a while back and I break down how to identify and utilize Themes on your socials. You don’t feel you have anything interesting to say, for example, you have no shows, no studio time booked and absolutely no “music news”. Didn’t see #3 coming, but super smart and super right. No time like today to start building that list! I *still* neglect my newsletter! Thanks for the reminder! Wanna change that starting now 🙂 I’ll open it I promise! #1 I believe most artists confuse “self-promotion” with “self-adulation”. Even when waving your own flag you should be doing it in a way that spreads ideas, concepts, and a greater vision vs “hey, look what I’ve got/accomplished – me, me, me, blah, blah, blah”. #2 Yes, branding is so much more than a cool logo!